RO Plant Service Servicing of existing any ro system will be taken up for chemical cleaning, servicing, replacement of wornout parts/spares, membrane changing etc. 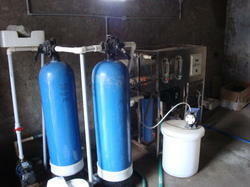 We have gained expertise in providing RO System Service to our respected customers. These services are rendered under the skilled expertise of our professionals, as they have advance knowledge of domain. 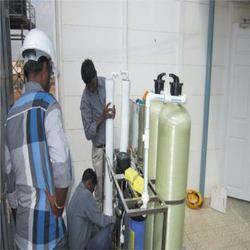 Superior quality Reverse Osmosis Plants & Services are offered by us. Our products fulfill the needs of variety of industries and provide efficient and hassle free solutions for water treatment. These are durable, dimensionally stable and can be customized as per clients’ demands. 1. SS pipe line arc and tig welding work. 2. Total services work in r. O plant. AMC FOR RO PLANTS ABOVE 250 LPH. Our firm has made unbelievable breakthrough in the providing RO Maintenance Training Classes. Attributed for its flexibility and reliability, these services are broadly demanded. More to this, we deliver these to our clients after understanding their budgetary requisites. Clients can acquire these services at most affordable rates.